If you have multiple contacts within the same organization, you can quickly add them together by entering the same Organization name for each contact. There are two ways to achieve this. Click the Add Contact button at the top of your Action Stream. 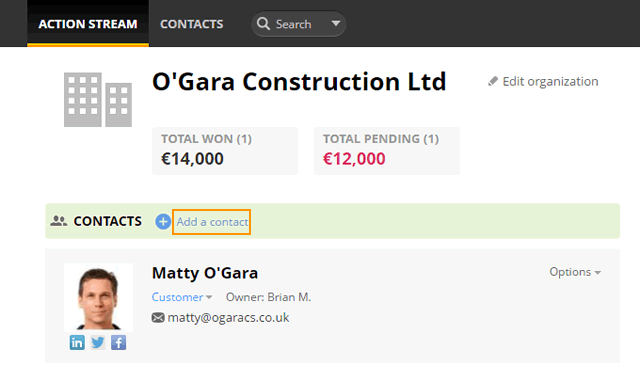 In the Contact info page, fill in your contact's details and enter their Organization name. You will be prompted with existing organization names. 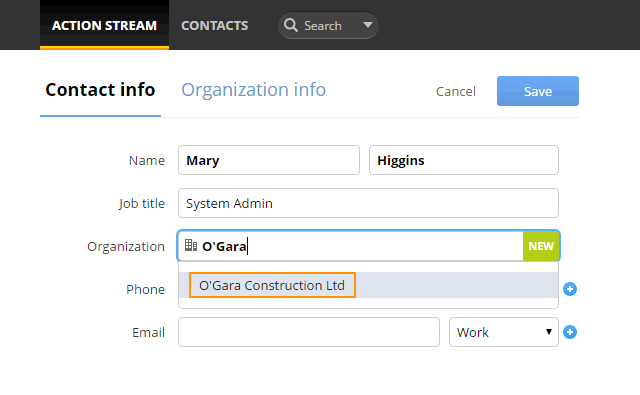 If you wish to assign the contact to an existing organization, just select the one of your choice . Otherwise, type the new Organization name. Click Save to create a contact. Open the Account view of your chosen organization → click on Add a contact. Fill in the contact's details. 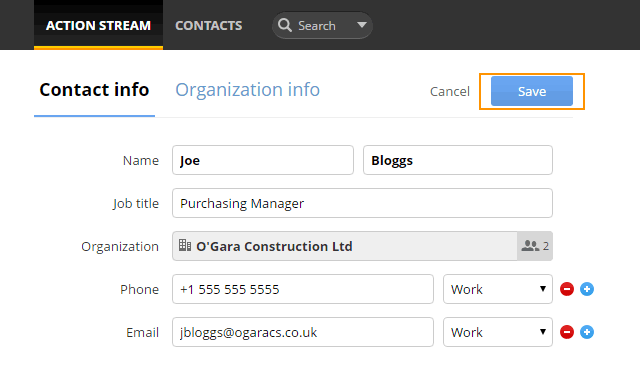 Note: The Organization field is already pre-populated with that of the Account view.